Phoenix has a very warm climate, making this an ideal location for individuals looking to start careers in the HVAC industry. There is a huge job market for certified HVAC technicians in Arizona, with average annual salaries ranging between $33,000-$77,000 in the Phoenix area. 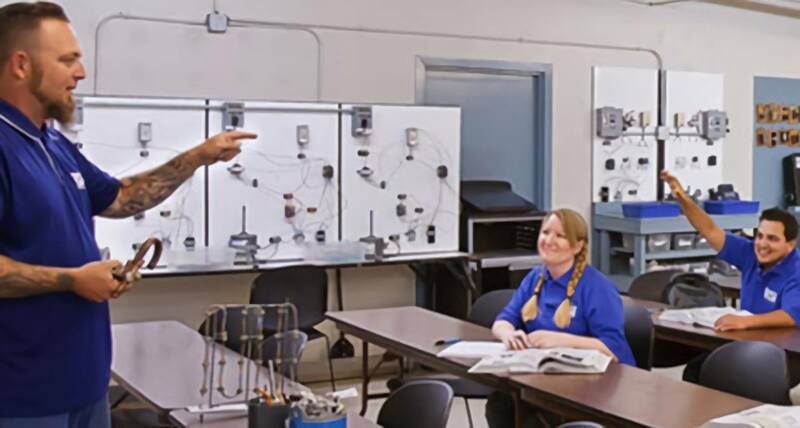 With the vocational training programs at RSI conveniently located in a region that has a high demand for HVAC technicians, completing training here is a reasonable decision. Many young professionals seek jobs immediately after completing training, and it may be an added benefit it you are already in an area that has a promising job market for your specific occupation. Another reason to see out Phoenix for vocational training programs is because Phoenix enjoys beautiful weather almost year round. Warm temperatures and plenty of sunshine make this an enviable spot, especially during the winter when most of the country shivers. The pleasant weather in Phoenix can also make the job easier for HVAC technicians, as they often work outdoors and during irregular hours. Another benefit of the great weather in Arizona is that you can get out and be more active for a larger part of the year, which can contribute to improved exercise habits and better overall health. Most people associate Arizona with the desert and may think there is not much else to do. While the Sonoran Desert is definitely breathtaking, Phoenix has much more to offer. There are attractions to suit any type of recreational hobby you might have, including forests for hiking, lakes for fishing, and parks for strolling. Arizona even has ski resorts. Many people cannot imagine snow skiing in the hot, dry climate of Arizona, but the state actually has many high peaking mountain ranges that are perfect for skiing during the winter. When you feel like venturing out of state, Phoenix is close to many great attractions. Just a mere 300 miles away from Nevada, you can easily slip away for a fun-filled weekend in Las Vegas. The impressive Grand Canyon and beautiful Mojave Desert are also just a few hours by car from Phoenix. There are multiple national parks in the state, such as Tonto National Forest, Kofa National Wildlife Refuge, and Cabeza Prieta National Wildlife Refuge. You can even drive south to the border and visit Mexico in less than three hours. The cost of living in Arizona is slightly lower than average. Taxes, healthcare, childcare and transportation costs are lower than the national average, while housing costs are higher. The relatively low cost of living coupled with the high demand and above-average annual salaries for HVAC technicians in the Phoenix area make the region an affordable location of RSI students and gradtuates.